“…According to a recent research paper looking at all states, that moment of contributions' and benefits' equivalence may be longer away than any teacher thought, and it will be VERY dependent upon the specific state’s retirement program. Two significant findings occur in this brief, Negative Returns: How State Pensions Shortchange Teachers. “‘First, in the median state, teachers must serve at least 25 years to receive a pension worth more than their own contributions. Teachers with shorter careers get no school-financed retirement benefit despite their many years of service. 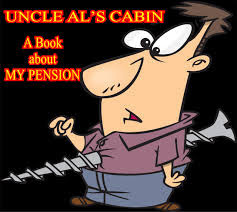 They may be better off taking back their own contributions when they quit rather than waiting to collect a pension. “Why? Because new plans in many states – known in Illinois as Tiers – will push the intersection of contributions and expected retirement earnings far into the future. In Massachusetts, for example, recent changes for new hires have made it IMPOSSIBLE for any of them to ever meet the parity between contributions and retirement benefits/earnings. “According to the authors, Aldeman and Johnson, Tier I teachers in Illinois can expect to achieve a ‘breaking even’ point after 28 years of teaching. “The plan for Tier II in Illinois, which passed the General Assembly in less than 24 hours, asked new hires after January of 2011 to pay the same contribution as Tier I for less in retirement benefits: a simple rather than compounded annual cost of living increase, a capped retirement annuity at $112, 408, a retirement age of 67 and with severe deductions for an earlier exit. Do You Wonder Why There Is a Teacher Shortage?